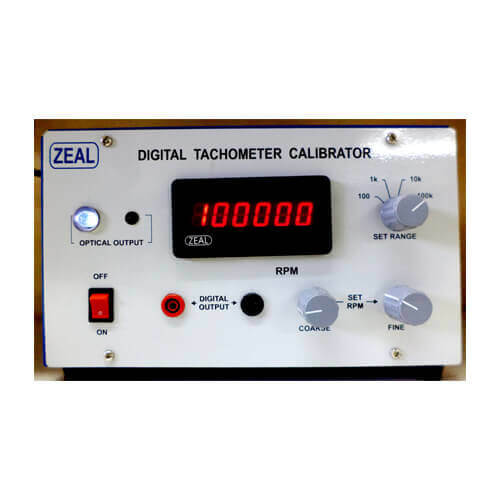 We are engaged in manufacturing and exporting of Tachometer Calibrators. They are classified (1) Non Contact type Tachometer Calibrator (2) Contact Type Tachometer calibrator. They are suitable for calibration of optical reflecting type tachometer, optical speed sensors, contact type tachometer, RPM Meter etc. The accuracy and stability of the RPM source are the most important features. 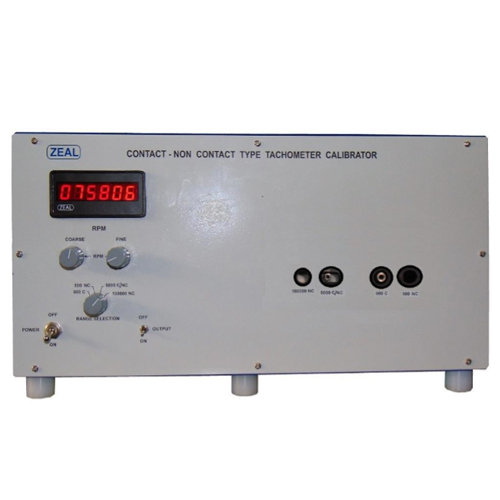 We are involved in manufacturing and exporting of Non-Contact Type Tachometer Calibrator. It is suitable for calibration of optical reflecting type tachometer, optical speed sensors etc. The high accuracy and stability of the source are the most important features. Besides it is handy, light weight therefore suitable to carry at sites also for calibration of Tachometers. Other output 5 V pulse.